Once again, the utilities sector yield paradox is developing. 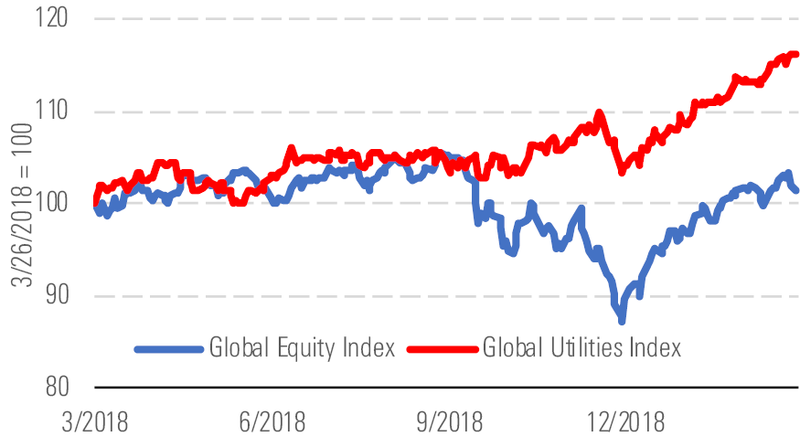 The utilities rally since early 2018 has resulted in valuations that are well above historical norms and roughly 10% above what we consider fair value. Dividend yields remain near decade lows, well below 4%.